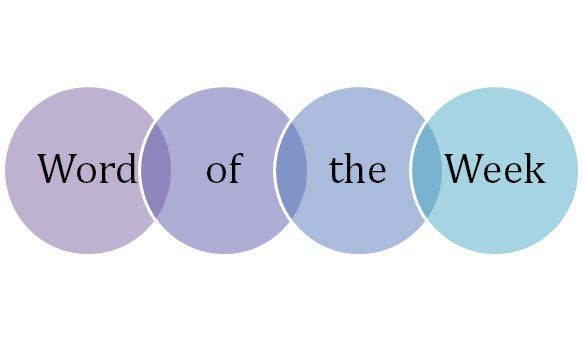 This week’s WOW is discombobulate (v.): to disconcert or confuse. One of those words that’s been in the background of my mental vocabulary for some time but without much airing, I found myself using it this week to describe my state of mind: ‘sorry, I’m all discombobulated’ – the perfect way to sum up that slightly harried, slightly distracted feeling. It’s somewhat onomatopoeic; all those syllables and the satisfying ‘bob’ in the middle making for a word that reminds me of a rickety broken-down steam train limping down the tracks. According to the OED, it’s chiefly a North American word and generally used in a humorous context; it would look out of place in an academic context, for instance. It emerged in the 1800s in the USA as a word probably based on similar words like ‘discompose’ and ‘discomfit’. Whoever came up with it obviously had a whimsical knack for neologisms. It’s a word that’s simply fun to say which probably accounts for why it’s persisted into modern usage. It’s not as frequently used as it should be though; when was the last time you heard someone say it or saw it written down? Send your comments below. NB: There is an interesting entry on this at Michael Quinion’s excellent World Wide Words site. I recommend going there if you, like me, are fascinated by the many strange and wonderful words that make up the English language.